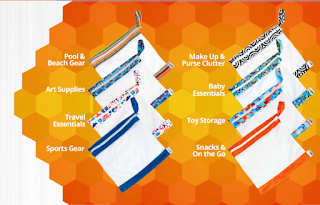 ThemeParkMama: ZizzyBee Mesh Storage Bags Organize Your Everything! 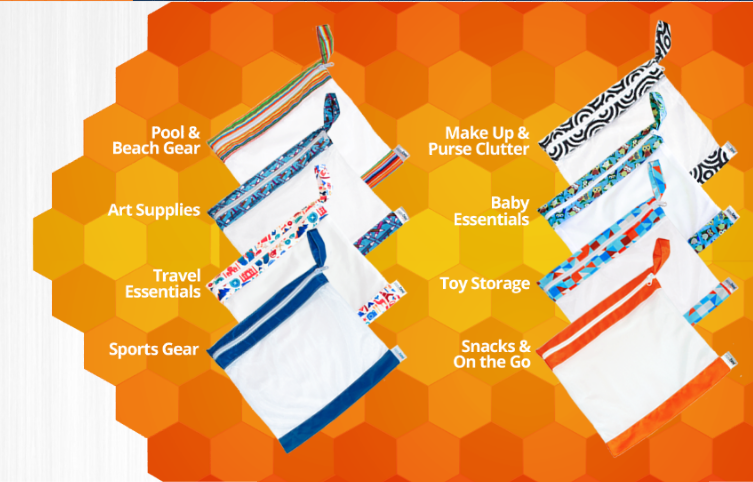 ZizzyBee Mesh Storage Bags Organize Your Everything! 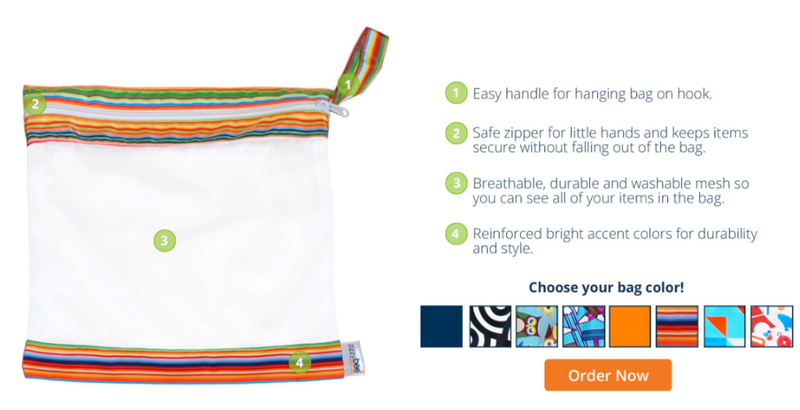 ZizzyBee creates innovative, reusable, and washable zippered mesh storage bags. They’re see-through, so you’ll always know what’s inside. 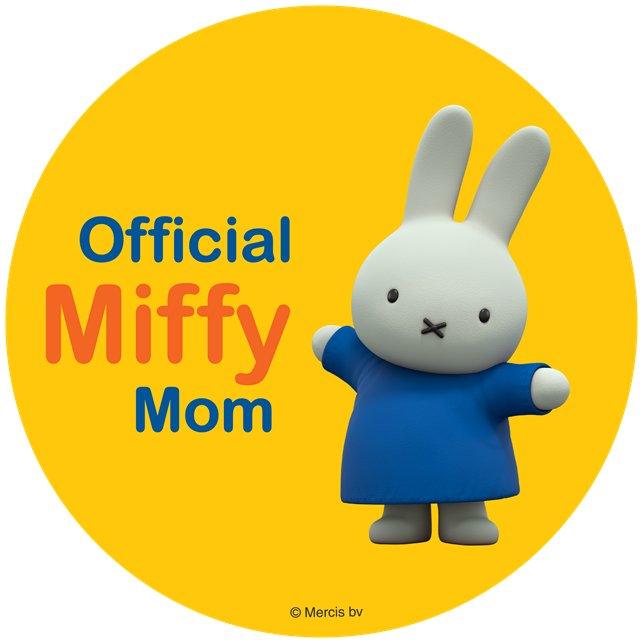 They come in several sizes to hold everything, from snacks to toys and sports equipment. They’re accented with bright colors and patterns, a far cry from boring plastic bins. And because you can use them over and over, you won’t be adding to the world’s waste by using resealable plastic bags. ZizzyBee is perfect for getting those toy sets with seemingly thousands of tiny pieces off your floor and in one easy to find place. 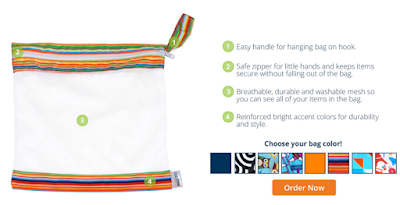 They’re great for toting your child’s bathing suit, sunscreen, toys and towel to the beach. And they’re just right for on the go snacks. 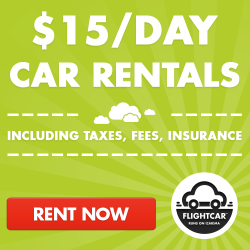 If you’ve got stuff, ZizzyBee can help you organize it! Large 3-pack – This set of 3, 12” by 12” bags is perfect for art supplies, beach gear or toiletries for travel. You can pick 3 matching bags or 3 different colors. Mix 3-pack - Comes with 2 large bags and 1 small 9” by 9” bag, use it for makeup, crayons or anything small that needs a home. Small 3-pack – This set of 3, 9” by 9” bag, use it for makeup, crayons or anything small that needs a home.